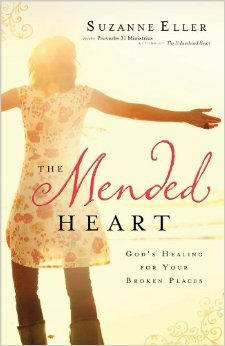 I had the privilege of reading an excerpt of The Mended Heart by Suzanne Eller this weekend before its release on February 4th and I just had to tell you about it. I highly recommend you take a look at the first chapter of this book and then preorder it today. Words can’t begin to express how deeply Suzanne’s words touched me. She is willingly sharing the message God has given her. Don’t live in hurt and brokenness anymore; trust God and let Him mend your heart.